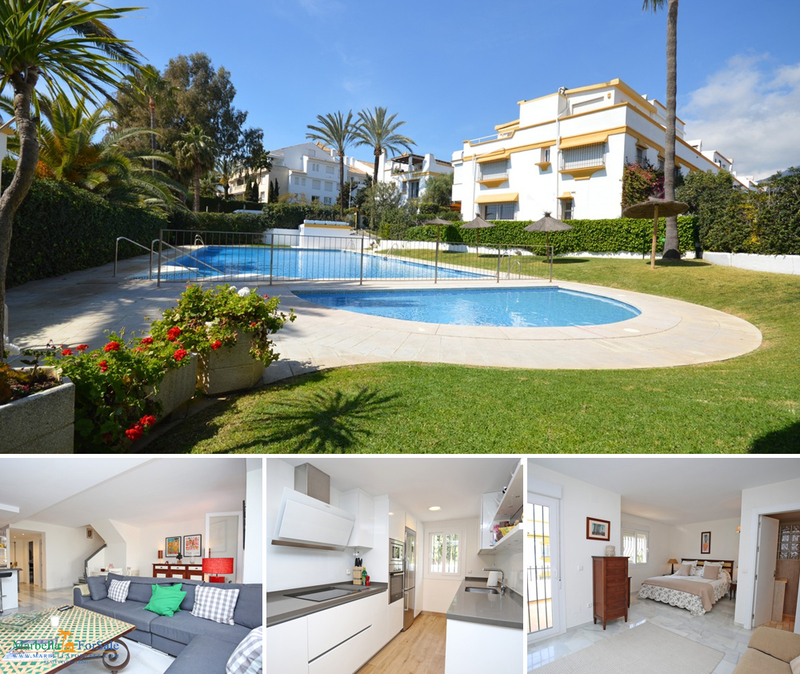 Fantastic four bedroom townhouse in Marbellamar, an excellent beach side community of townhouses in the heart of the Golden Mile. Contemporary apartment on the Golden Mile, only a few minutes walk to the sea, beach, restaurants, old town. Urbanisation with modern pool area, gym. 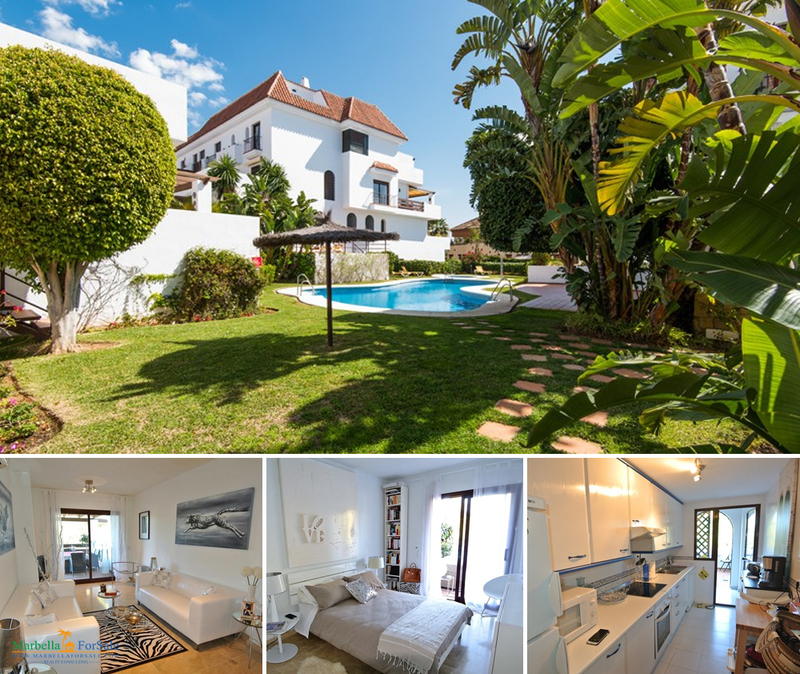 This beautiful corner apartment is located in an established urbanization in Las Lomas del Marbella Club, with communal garden and swimming pool. 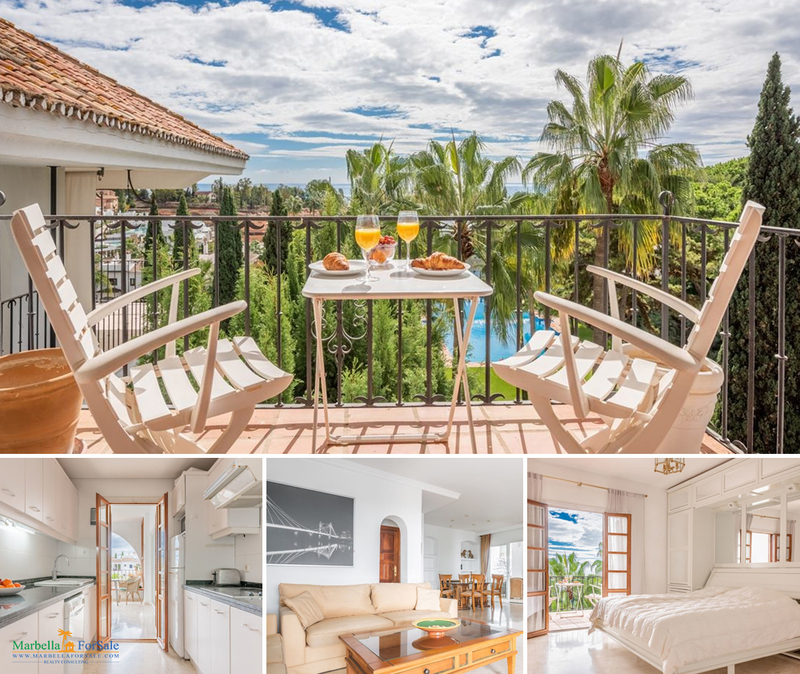 This top floor apartment is situated in a famous complex in the much sought after area of Las Lomas del Marbella Club. This exclusive urbanisation has a 24-hour security. A spacious south facing apartment on Golden Mile, within walking distance to the beach. Features a generous living room with dining area, two bedrooms, two bathrooms. 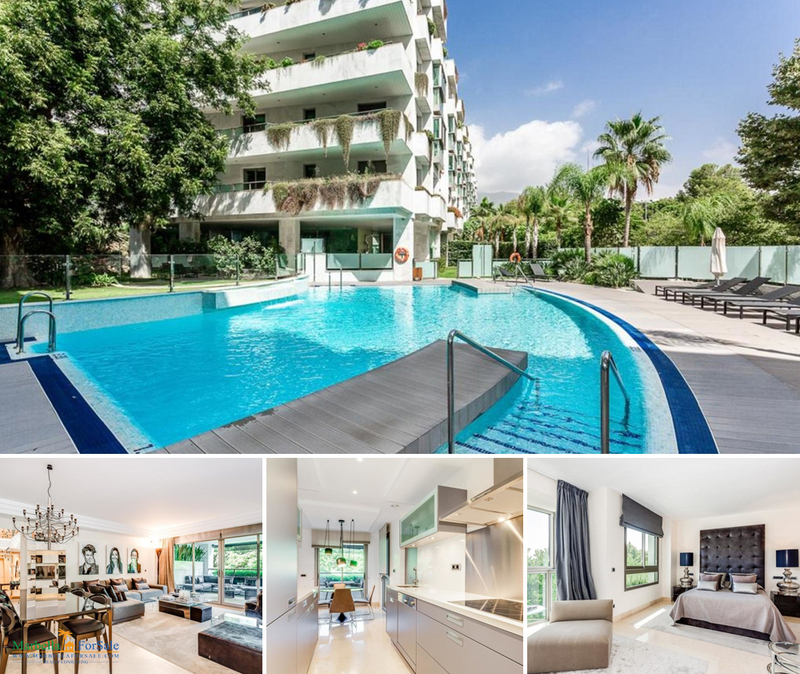 Golden Suites is a new development consisting of 34 luxury apartments and penthouses located on the much sought-after Golden Mile, in Marbella. 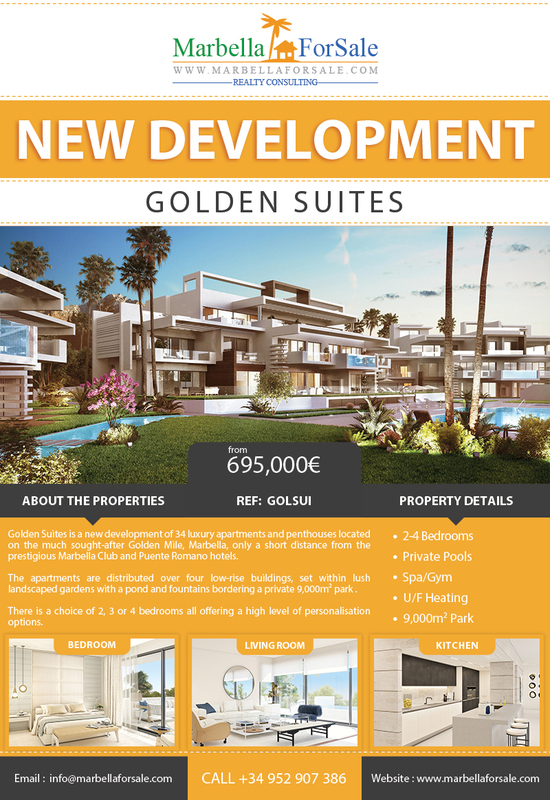 Golden Suites is a new development of 34 luxury apartments and penthouses located on the much sought-after Golden Mile, Marbella, only a short distance from the prestigious Marbella Club and Puente Romano hotels. The apartments are distributed over four low-rise buildings, set within lush landscaped gardens with a pond and fountains bordering a private 9,000m² park reserved only for residents with a running track and paddle tennis courts. 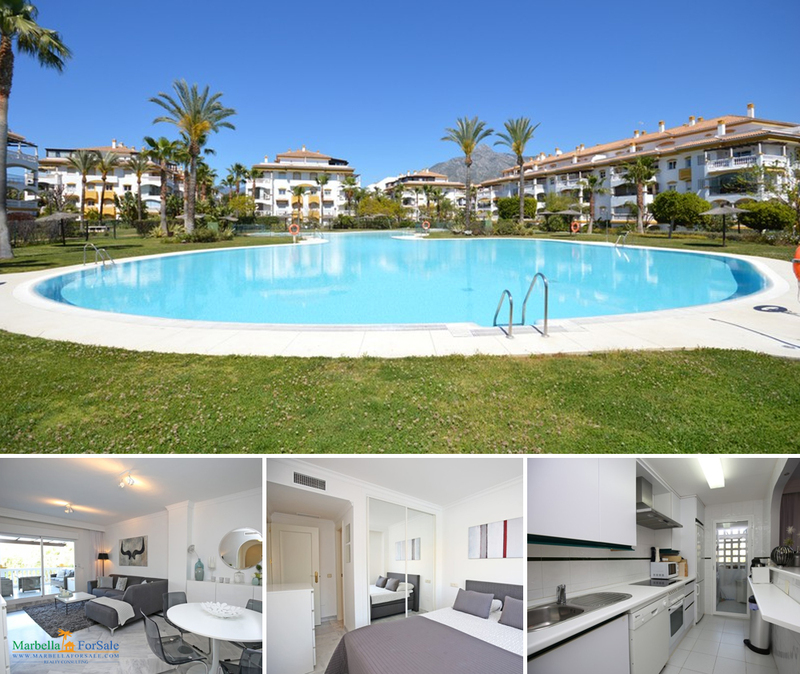 Stunning, first line beach complex apartment for sale on the prestigious Golden Mile, Marbella, enjoying immaculate conditions and perfect location. 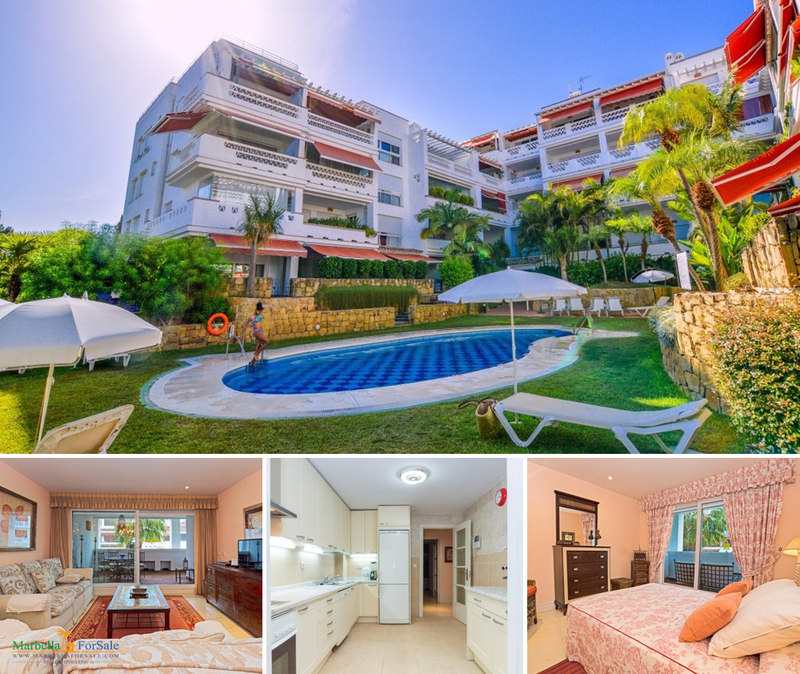 The apartment comprises a spacious living/dining area with direct access to the terrace, fully fitted kitchen with laundry room, 2 good size bedrooms with fitted wardrobes and 2 bathrooms.